Dysbiosis – How Do You Know If You Have It? Do you Know What Dysbiosis of the Gut is? Dysbiosis is an imbalance in your gut flora caused by too few beneficial bacteria and an overgrowth of bad bacteria, yeast, and/or parasites. Dysbiosis can be caused by parasites, an overgrowth of yeast such as Candida albicans, or overgrowth of bad bacteria. When there is an imbalance of our gut organisms, a predominance of bad bacteria, the gut becomes out of balance. In healthy people, the immune system can be weakened by bad nutrition, chemical toxins, stress, food allergies, drugs, or poor diet. This allows the unfriendly organisms to multiply and slowly weaken your immune system. Overtime, the intestinal wall, which is the protective mucous membrane, can start to leak, this is called intestinal permeability or “leaky gut.” The toxic byproducts can now pass through the wall into the bloodstream and affect other parts of the body. The immune system reacts by forming antibodies against these larger foreign invaders; in some people this can lead to autoimmune diseases. What are the Common Causes of Dysbiosis? Drugs: Antibiotics alter the intestinal flora and cause increased risk of overgrowth by opportunistic bacteria or fungi and antibiotic-resistant bacterial strains. Non-steroidal anti-inflammatory drugs (NSAIDS) cause gastrointestinal mucosal inflammation and lesions leading to increased permeability of the gut. Oral contraceptives, hormone replacement therapy (HRT), steroids (asthma medications or prednisone) can also cause overgrowth of unfriendly organisms by interrupting the balance in microflora. Diet and digestion: Poor digestion caused by eating too quickly or through a lack of enzymes, contributes to overgrowth by providing additional food sources from undigested food particles. Diets high in alcohol, refined carbohydrates, and sugars provide nourishment for the yeast and fungal organisms. What are the Health Consequences of Dysbiosis? A leaky gut can lead to the production of antibodies by the immune system. The antibodies may get into various tissues and trigger inflammatory reactions when a particular food is consumed or the microbe is encountered. If this inflammation occurs in a joint, rheumatoid arthritis develops; if in the brain, myalgic encephalomyelitis (chronic fatigue syndrome) is the result; in the blood vessels, vasculitis; in the gut, colitis or Crohn’s disease; in the lungs, asthma is triggered. Dysbiosis and leaky gut can also cause the malabsorption of many important minerals and micronutrients. The inflammatory process damages can block the absorption of vitamins, minerals, and amino acids causing a deficiency. What are the Symptoms that your Gut Bacteria is Out of Balance? 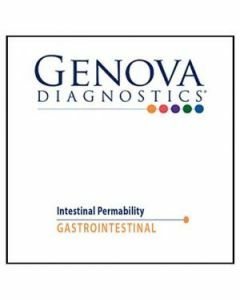 Take a home urine test for ‘Intestinal Permeability‘ from Genova Lab that will determine if you have Dysbiosis. There are three parts to treating dysbiosis: 1) restore the friendly organisms to the intestine, 2) starve out the bad organisms, and 3) kill off the unfriendly organisms with natural antimicrobial therapies. 1) Restore the friendly intestinal flora. A bowel colonized with healthy organisms will maintain a proper pH, properly utilize vitamins, minerals, and proteins. It’s so important to feed the good bacteria with a probiotic. 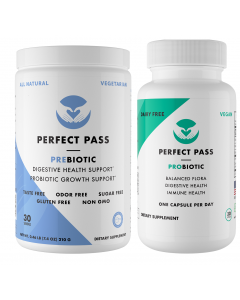 We recommend Perfect Pass Prebiotic and Perfect Pass Probiotic. It’s a good idea to incorporate fermented fermented foods in your diet. Fermented foods include home made yogurt and kefir (cultured milk products), miso and tempeh (fermented soy foods), fermented vegetable juices, or sauerkraut. 2) Starve the unfriendly organisms. Avoid consuming the foods that nourish and support the growth of candida and other yeast forms. Avoid all sugars (including honey and maple syrup) and refined carbohydrates such as pasta, breads, pastries, white rice, noodles, etc. Also eliminate alcohol, fruit juices, processed meats, dried fruits, and malt products. Avoid eating or drinking any foods or beverages that you may be allergic or sensitive to. Eat fresh fruits in moderation (up to 3 to 4 servings daily) You can freely eat vegetables, fish, and meats (hormone- and antibiotic-free), raw nuts and seeds. Incorporating Digestive enzymes play an important role here, as well. Efficient digestion leaves less metabolic waste for the bad micro-organisms to feed on. 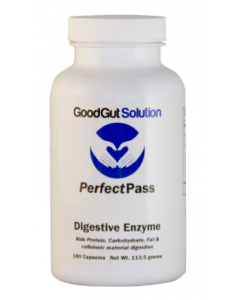 Perfect Pass Digestive Enzymes work in two ways; they support healthy digestion when taken with meals and reduce inflammation when taken between meals. 3) Kill the unfriendly micro-organisms. 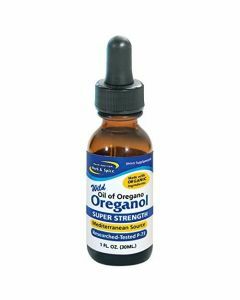 Oreganol is an excellent anti-fungal. 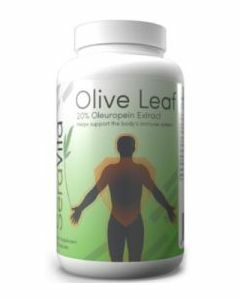 So is O’Leave Olive leaf extract. Grapefruit seed extract is also reported to have powerful antimicrobial activity. 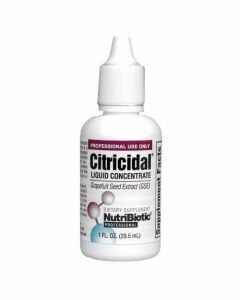 We recommend Citracidal Grapefruit Seed Extract. 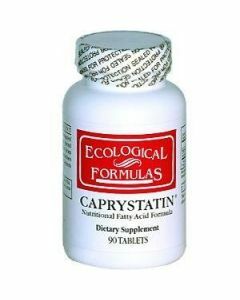 Another good support for yeast overgrowth is Caprylic Acid, it’s derived from fatty acids of coconut oil. Berberine is effective in the internal and topical treatment of candida. 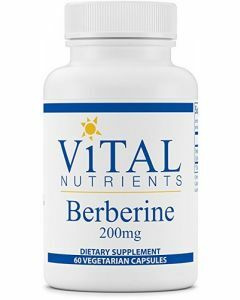 Studies show that berberine inhibited the growth of Candida albicans as well as 10 other fungi. The dysbiosis protocol and diet should be followed for six to eight weeks. After this time keep your refined carbohydrates and sugars to a minimum and take probiotics and prebiotics on a regular basis. For the first year, repeat the dysbiosis protocol for a period of one month, every three to four months. Afterwards, repeat once or twice a year to maintain gut health throughout your life.